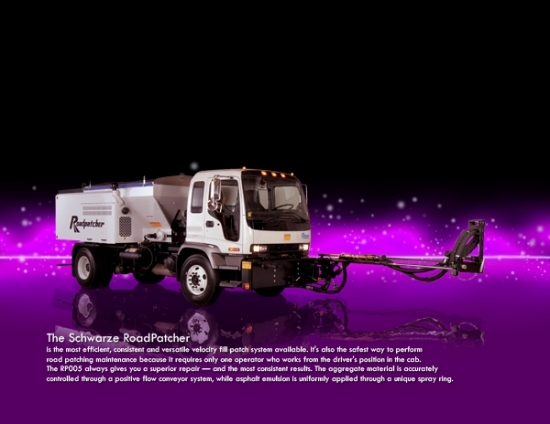 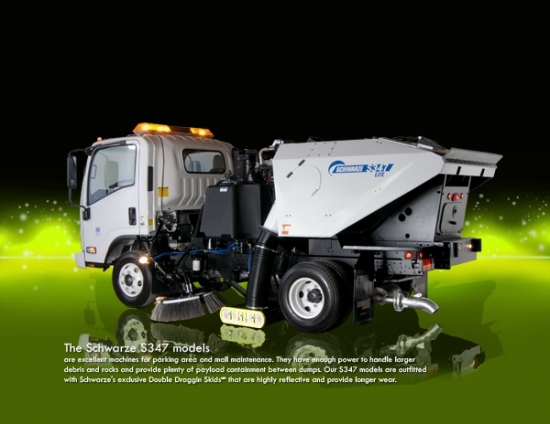 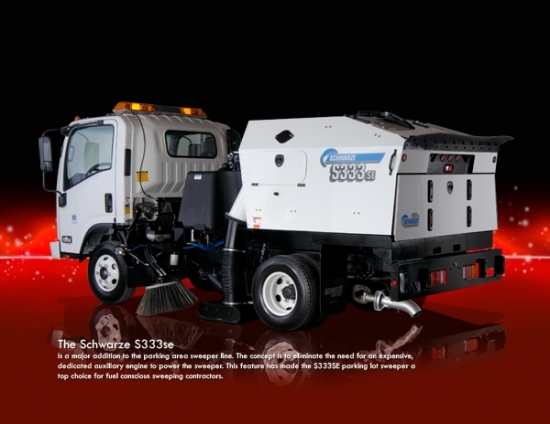 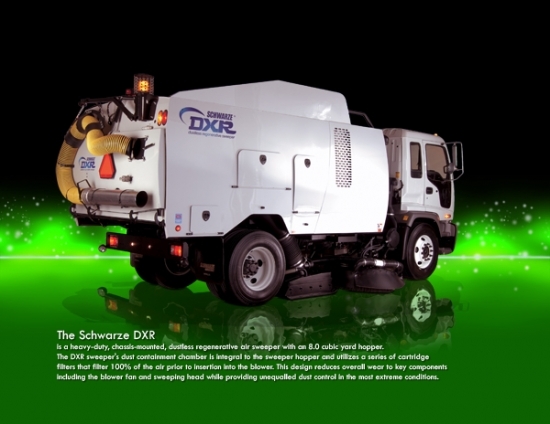 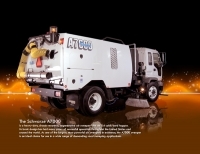 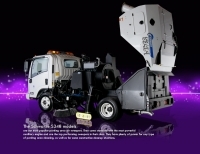 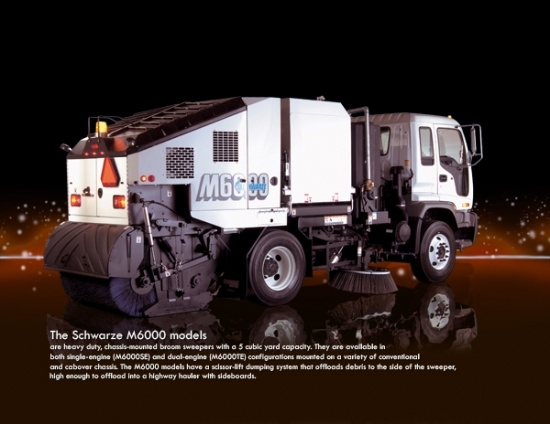 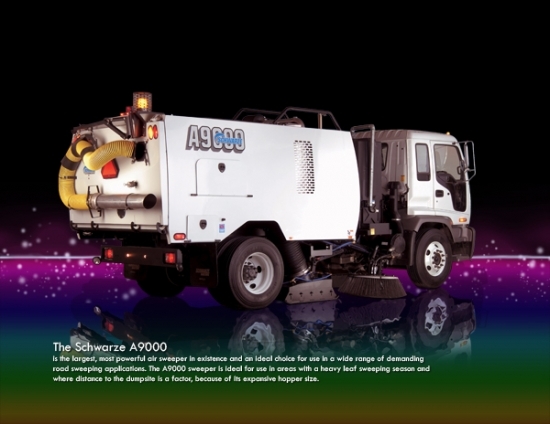 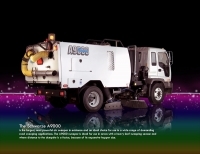 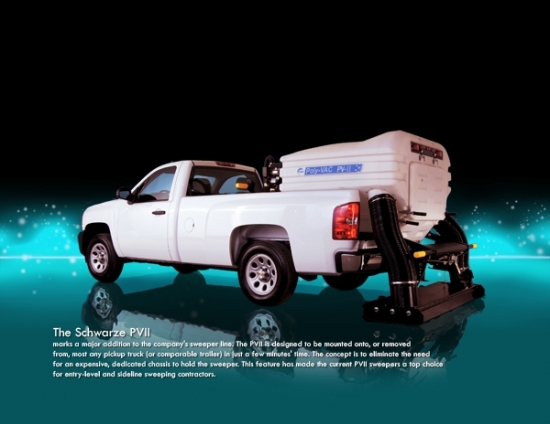 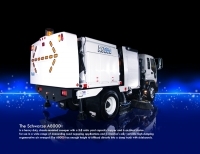 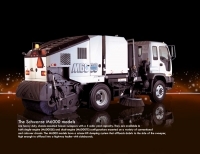 No matter what type of chassis-mounted sweepers you need, your top choice is Schwaze Industries, Inc.
We offer a class of air sweepers for parking area sweeping, as well as for street and construction cleanup usage. 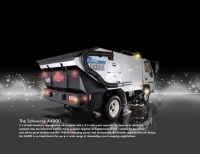 Sc hwaze also offers a line of mechanical broom sweepers that are in widespread usage across America for street sweeping, milling, construction cleanup and more. Whether you are just starting out as a contract sweeping professional and need an entry-level parking area sweeper — or represent a large municipality that needs a fleet of top-performing air or broom machines, Schwarze Industries has the sweeper models you need. Our equipment is known worldwide for its performance, and the many models we offer means you can have a diverse fleet of sweepers and never have to worry about using multiple vendors to get the sweeper type you need. 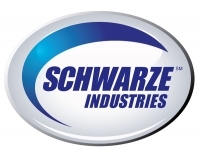 If you are in the market for any type of sweeper, be sure to include Schwarze Industries' line in your evaluation process. 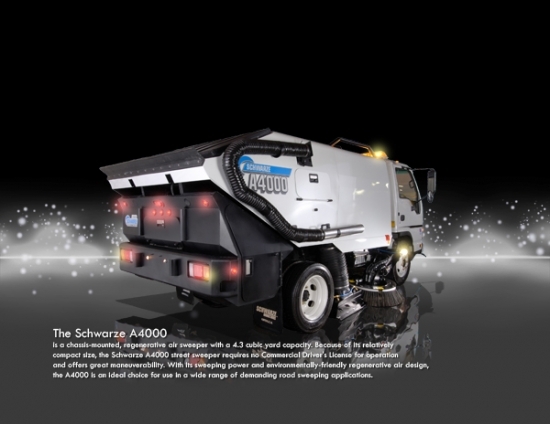 We are confident we can provide you with the information needed to make an effective choice on a Schwarze sweeper that will meet and exceed your expectations. Check out our extensive website information or give us a call today.